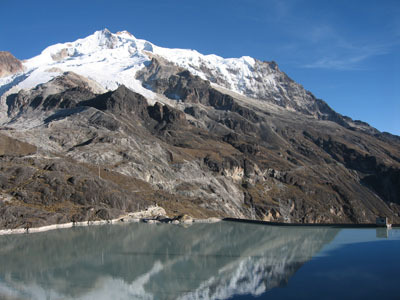 The Zongo Valley lies Northeast of the city of La Paz in the eastern foothills of Cordillera Real mountain range. 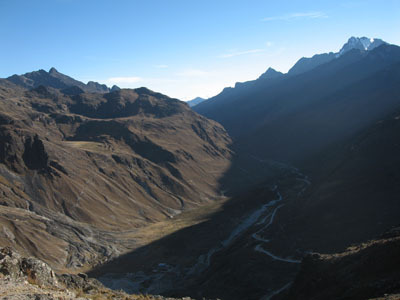 The route from city of La Paz to this spectacular valley begins at the Chacaltaya intersectionand descends rapidly through mountains to the lush vegetation of the cloud forest. 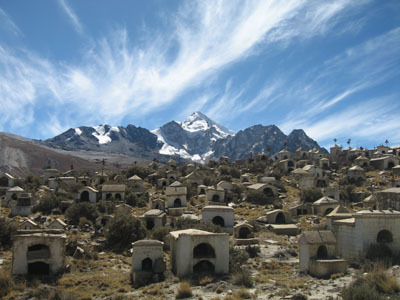 The Zongo Valley is caracterized by a variety of ecological levels, and its picturesque rural dwellings made of stone, adobe and thatched roofs. 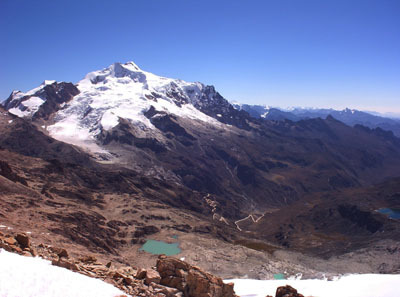 Several long trails begin from the uper part of the Zongo valley, summiting the higher peaks and the mighty Huayna Potosi, or leading the visitor to some of the glacial lakes in this area. 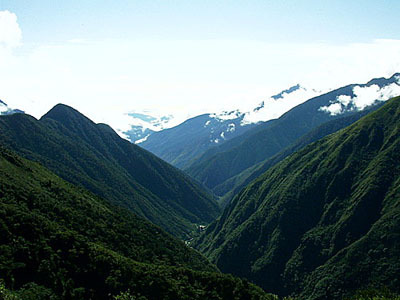 The central and lower parts of the Zongo valley offer great hikes to see diverse flora and fauna.